Zander’s Interiors is a Madison-based interior design firm and family-owned business demonstrating over 35 years of excellence and leadership in the field. Our strength comes from an experienced and diverse team with wide-ranging talents and creativity to address every type of project and budget. Using a process that is client-focused and detail-oriented, we deliver fresh new design concepts infused with our client’s own unique personality and lifestyle. From the initial consultation through implementation, Zander’s Interiors will provide outstanding design that is accompanied by a warm, personal and engaging experience working with our team. 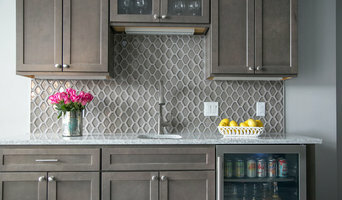 Madison Area's Premier Interior Designer | 4x BEST OF HOUZZ! Good design doesn't just happen it's planned. Sometimes the hardest part is getting started and we are here to help! Offering solid design since 1990. We are Madison's only one stop shop for everything interior! Our services include consultation, furniture selections, artwork and accessories, custom framing, custom sewing, blue print review, space planning, project management, kitchen and bath design interior and exterior finish selection. Stop into our retail location and enjoy our fun specialty showroom featuring home furnishings and accessories, custom framing and our custom sewing workroom. Our design studio is stocked with fabrics, wallpaper and everything interior, featuring kitchen and bath cabinetry and design for both custom and readymade projects. And in true Silver Leaf style we are always adding to our offerings and are proud to announce our online store shopsilvernest.com, where you will find all the wonderful things we find at market and just can’t fit into the store! I am an Interior Designer at Nonn's Design Showplace at the Madison East Location. I have been working at Nonn's for 7 years and got my degree at Madison College for Interior Design. A interior decorating business specializing: cottage; transitional; farmhouse; coastal; bohemian; California casual. Kari’s Interiors is a full service design firm with over 20 years of experience. Specializing in interior architecture, color consulting, space planning, material selection, and everything in between. Kari’s Interiors not only creates beautiful spaces for their clients, but also creates customized spaces reflective of their lifestyle. While based out of Lake Wisconsin, they service all of South Central Wisconsin. *Hunter Douglas Authorized Dealer* Welcome to Prairie Shades & Shutters, LLC. We are your premier Hunter Douglas Dealer. You'll find a wide variety of Hunter Douglas choices to meet all your needs, including favorites like Duette® Honeycomb Shades, Silhouette® Window Shadings, Luminette® Privacy Sheers, wood blinds, shutters and more. Our fine window fashions will transform your living space into your dream home. Call on us today to fill your window fashions needs! Prairie Shades & Shutters, Llc is locally owned and operated and serves Sun Prairie, WI and the surrounding areas. We are proud of the professional products and services we provide, and we take our long-term commitment to the community seriously. We are here now and we'll be here in the future, when you need us again. A good home design professional will hone your style down to its very essence and be able to choose a functional layout that feels natural to you. Interior design companies can be involved as much or as little as the client desires. Many clients who hire an interior decorator in De Forest, WI — particularly those who are remodeling — have a good sense of how the room should look and what products they should use. Often clients will insist that interior decorators use the products already present in the house. Other times a designer will need to start from scratch — especially if this is a newly purchased or just-built home. An interior design company will need to figure out exactly what the client needs, which includes organizing rooms, picking flooring and wall colors, and finding furniture to complement it all. Sometimes that means he or she will have to recruit help from other De Forest, WI home professionals to help create the perfect look for your renovation. Here are some related professionals and vendors to complement the work of interior designers & decorators: Architects & Building Designers, General Contractors, Home Builders, Design-Build Firms, Photographers. 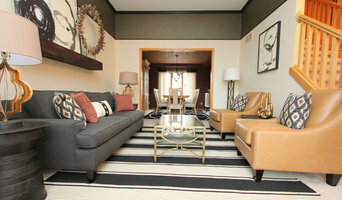 Do your research before meeting with an interior designer or home decorator in De Forest, WI. Ask yourself what you want your space to become and what it will be used for. Figure out the extent of what you need help with, what your must-haves are and what your budget is. Interior design services can add up fast, so be up front with a potential design firm or individual from the beginning. Also, pick an interior decorator that fits your style. Browse through the portfolios of different De Forest interior design firms and decide if you would live in those houses. Just because you like something doesn’t mean you could live in it. There's a big difference! Find an interior designer or home decorator in De Forest, WI on Houzz. Narrow your search in the Professionals section to find De Forest interior designers near you. 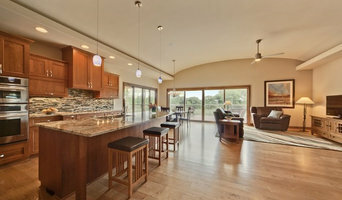 You can also look through De Forest, WI photos to find a room you like, then contact the design firm who designed it.